The Historic Liberty Square provides a vast array of restaurants and businesses that can make for a great outing for the typical cooped-up William Jewell student. One such small local business is the Morning Day Cafe, a fairly new addition, which first opened in July of 2014. 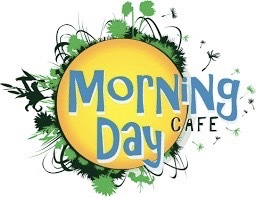 Morning Day provides a uniquely conscious menu, making sure to cater to the needs and bellies of the surrounding community. Owner Miranda Barchers says that the most popular dish is the “Hot Mess” – a stack of breakfast potatoes with poblano cheese sauce, sauteed onions and peppers and sunny-side-up eggs. In terms of beverages, Morning Day provides a full bar, has bottomless locally-roasted coffee and also smoothies, teas and espresso drinks on the menu. Barchers also says that the best seller is the Mexican Mocha, made with beans sourced from Guatemala and roasted locally, organic house-made cinnamon syrup, dark chocolate, organic espresso and choice of milk. The sources of the culinary goodness are proudly presented, as their produce and meat are obtained locally. Their eggs, bacon, pork and beef come from Baham Farms in Kearney, MO, and the microgreens come from Simply Sprouts – right here in Liberty. The brunch atmosphere is great for a cheap and healthy date, a simple meeting or you and a book. Morning Day strives to create a place that reflects what they preach. With colorful chairs and local artwork on display, the vibes at Morning Day are bright and inviting. As the Cafe says, they are your “community cafe,” and that is extended to the community of William Jewell students as well. “One thing we really pride ourselves on is being community-centric. A part of that is our artwork displayed,” Barchers said. Each month, the cafe has a local artist that they support, by displaying their works in order to promote them to the community. All that they ask of the artist is that they can receive a piece of their artwork. Those 11 art pieces are on display for the month of December and then a silent auction is held – all of the proceeds go to their annual charity. Barchers wants the Cafe to be a regular spot for Jewell students. Since their opening, Morning Day has offered a 10 percent student discount. “We try to be a place where you can catch local events, and we also keep up on the events Jewell is holding as well. We’re a place where Jewell students can plug in, hang out, and just get to know the community,” said Barchers. Whatever your dietary restrictions or stomach desires, Morning Day Cafe is a quick walk from campus and will be sure to satisfy and make you feel good about the community and your bodies. PreviousPrevious post: 2 Takes, 1 Issue: Kavanaugh, innocent until proven guilty?